Mary Celeste (often misreported as Marie Celeste) was a U.S. merchant brigantine that was found adrift and deserted in the Atlantic Ocean, off the Azores Islands, on this date in 1872 by the Canadian brigantine Dei Gratia. She was in a disheveled but seaworthy condition, under partial sail, with no one on board, and her lifeboat missing. The last log entry was dated ten days earlier. She had left New York for Genoa on November 7, and on discovery was still amply provisioned. Her cargo of denatured alcohol was intact, and the captain’s and crew’s personal belongings were undisturbed. None of those who had been on board were seen or heard from again. The keel of the future Mary Celeste was laid in late 1860 at the shipyard of Joshua Dewis in the village of Spencer’s Island, on the shores of the Bay of Fundy in Nova Scotia. The ship was constructed of locally felled timber, with two masts, and was rigged as a brigantine. She was launched on May 18, 1861, given the name Amazon, and registered at nearby Parrsboro on June 10, 1861. For her maiden voyage in June 1861, Amazon sailed to Five Islands, to take on a cargo of timber for passage across the Atlantic to London. After supervising the ship’s loading, Captain McLellan fell ill; his condition worsened, and Amazon returned to Spencer’s Island where McLellan died on June 19. John Nutting Parker took over as captain, and resumed the voyage to London, in the course of which Amazon encountered further misadventures. She collided with fishing equipment in the narrows off Eastport, Maine, and after leaving London ran into and sank a brig in the English Channel. Parker remained in command for two years, during which Amazon worked mainly in the West Indies trade. She crossed the Atlantic to France in November 1861, and in Marseille was the subject of a painting, possibly by Honoré de Pellegrin, a well-known maritime artist of the Marseilles School. In 1863 Parker was succeeded by William Thompson, who remaining in command until 1867. These were quiet years; Amazon‍ ’​s mate later recalled that “we went to the West Indies, England and the Mediterranean—what we call the foreign trade. Not a thing unusual happened”. However, in October 1867, at Cape Breton Island, Amazon was driven ashore in a storm, and was so badly damaged that her owners abandoned her as a wreck. On October 15 she was acquired as a derelict by Alexander McBean, of Glace Bay, Nova Scotia. Within a month, McBean sold the wreck to a local businessman, who in November 1868, sold it to Richard W. Haines, an American mariner from New York. Haines paid US$1,750 for the wreck, and then spent $8,825 restoring it. He made himself her captain, and in December 1868 registered her with the Collector of Customs in New York as an American vessel, under a new name, Mary Celeste. In October 1869, the ship was seized by Haines’s creditors, and sold to a New York consortium headed by James H. Winchester. During the next three years, the composition of this consortium changed several times, although Winchester retained at least a half-share throughout. There is no record of Mary Celeste‍ ’​s trading activities during this period. Early in 1872, the ship underwent a major refit, costing $10,000, which enlarged her considerably. On October 29, 1872, the consortium was made up of Winchester, with six-twelfths; two minor investors with one-twelfth apiece, and the remaining four-twelfths held by the ship’s new captain, Benjamin Spooner Briggs. Benjamin Briggs was born in Wareham, Massachusetts, on April 24, 1835, one of five sons of a sea captain. All but one of the sons went to sea, two becoming captains. Briggs was an observant Christian who read the Bible regularly and often bore witness to his faith at prayer meetings. In 1862 he married his cousin Sarah Elizabeth Cobb, and enjoyed a Mediterranean honeymoon on board his schooner Forest King. The couple had two children: a son, Arthur, born in September 1865, and a daughter, Sophia Matilda, born in October 1870. By the time of Sophia’s birth, Briggs had achieved a high standing within his profession. Nevertheless, he considered retiring from the sea to go into business with his seafaring brother Oliver, who had also grown tired of the wandering life. They did not proceed with this project, but instead each invested his savings in a share of a ship: Oliver in the Julia A. Hallock, and Benjamin in the Mary Celeste. In October 1872, Benjamin took command of Mary Celeste for her first voyage following her extensive New York refit, which would take her to Genoa in Italy. He arranged for his wife and infant daughter to accompany him, while his son, who was of school age, was left at home with his grandmother. Briggs chose the crew for this voyage with care. 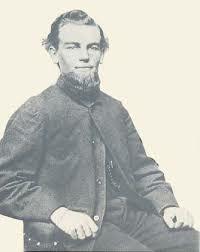 The first mate, Albert G. Richardson, was married to a niece of Winchester, and had sailed under Briggs before. The second mate, Andrew Gilling, aged about 25, was Danish in origin although born in New York. The steward, the newly married Edward William Head, was signed on with a personal recommendation from Winchester. The four general seaman were all Germans from the Frisian Islands: the brothers Volkert and Boz Lorenzen, Arian Martens and Gottlieb Goodschaad. A later testimonial would describe them as “peaceable and first-class sailors”. In a letter to his mother shortly before the voyage, Briggs declared himself eminently satisfied with ship and crew. Sarah Briggs informed her mother that the crew appeared to be quietly capable, “if they continue as they have begun”. On October 20, 1872, Briggs arrived at Pier 50 on the East River, New York City, to supervise the loading of the ship’s cargo for Genoa: 1,701 barrels of poisonous denatured alcohol. A week later, Briggs was joined by his wife and baby daughter. On Sunday, November 3, Briggs wrote to his mother, telling her that he intended to leave on Tuesday, adding that “Our vessel is in beautiful trim and I hope we shall have a fine passage”. 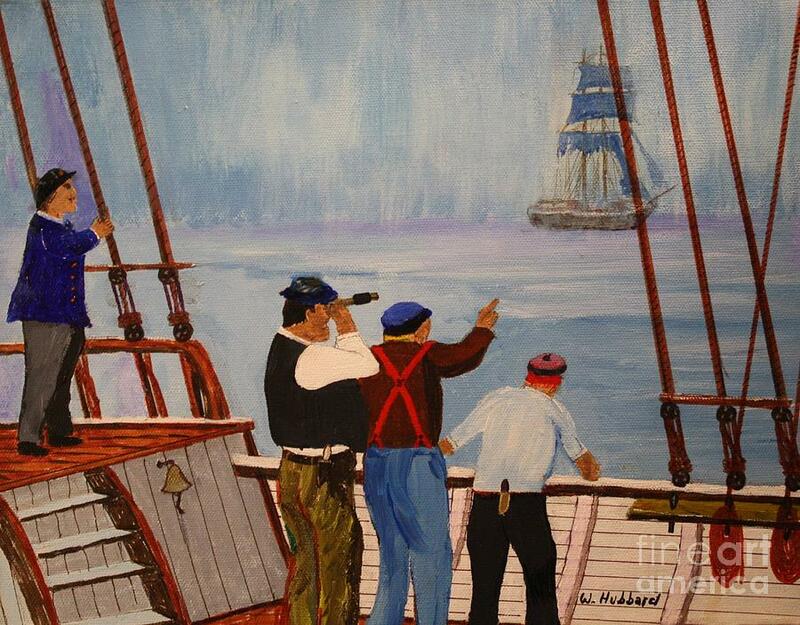 On Tuesday morning, November 5, Mary Celeste left Pier 50 and moved into New York Harbor. The weather was uncertain, and Briggs decided to wait for better conditions. On November 7, when the weather eased, Mary Celeste left the harbor and went out into the Atlantic. While Mary Celeste prepared to sail, another brigantine, the Canadian Dei Gratia, lay in nearby Hoboken, New Jersey, awaiting a cargo of petroleum destined for Genoa via Gibraltar. Her captain, David Morehouse, and his first mate Oliver Deveau, were Nova Scotians, both highly experienced and respected seamen. As captains with common interests, it is likely that Morehouse and Briggs knew each other, if only casually. Some accounts assert that they were close friends who, on the evening before Mary Celeste’s departure, dined together, but the evidence for this is limited to a recollection by Morehouse’s widow, 50 years after the event. Dei Gratia departed for Gibraltar on November 15, eight days after Mary Celeste, following the same general route. At about 1 pm on Wednesday, December 4, 1872, land time (Thursday December 5 sea time), Dei Gratia had reached a position of 38°20’N, 17°15’W, midway between the Azores and the coast of Portugal. As Captain Morehouse came on deck, the helmsman reported a vessel about 6 miles (9.7 km) distant, heading unsteadily towards Dei Gratia. The ship’s erratic movements, and the odd set of her sails, led Morehouse to suspect something was wrong. As the vessels drew close, he could see no one on deck, and receiving no reply to his signals, sent Deveau and second mate John Wright to investigate. Having established from the name on her stern that she was the Mary Celeste, the pair climbed aboard, where they found the ship deserted. The sails, partly set, were in a poor condition, some missing altogether, and much of the rigging was damaged, with ropes hanging loosely over the sides. The main hatch cover was secure, but the fore and lazarette hatches were open, their covers beside them on the deck. The ship’s single lifeboat, a small yawl that had apparently been stowed across the main hatch, was missing, while the binnacle housing the ship’s compass had shifted from its place, its glass cover broken. There was about 3.5 feet (1.1 m) of water in the hold, a significant but not alarming amount for a ship this size. A makeshift sounding rod (a device for measuring the amount of water in the hold) was found abandoned on the deck. The last entry on the ship’s daily log, found in the mate’s cabin, was dated at 8:00 am on 25 November, nine days earlier. It recorded Mary Celeste’s position then as 37°01’N, 25°01’W, off Santa Maria Island in the Azores—nearly 400 nautical miles (740 km) from the point where Dei Gratia encountered her. Deveau saw that the cabin interiors were wet and untidy from water which had entered through doorways and skylights, but were otherwise in reasonable order. In Briggs’s cabin, Deveau found personal items scattered about, including a sheathed sword under the bed, but most of the ship’s papers, together with the captain’s navigational instruments, were missing. Galley equipment was neatly stowed away; there was no food prepared or under preparation, but there were ample provisions in the stores. There were no obvious signs of fire or violence; the evidence indicated an orderly departure from the ship, by means of the missing lifeboat. Deveau reported these findings to Morehouse, who agreed to bring the derelict into Gibraltar, 600 nautical miles (1,100 km) away. Under maritime law, a salvor could expect a substantial share of the combined value of rescued vessel and cargo, the exact award depending on the degree of danger inherent in the salvaging. Morehouse divided Dei Gratia’s crew of eight between the two vessels, sending Deveau and two experienced seamen to Mary Celeste, while he and four others remained on Dei Gratia. The weather was relatively calm for most of the way to Gibraltar, but with each ship seriously undermanned, progress was slow. Dei Gratia reached Gibraltar on 12 December 1872, and Mary Celeste, which had encountered fog, arrived on the following morning. She was immediately impounded by the vice admiralty court, preparatory to salvage hearings. Deveau wrote to his wife that the ordeal of bringing the ship in was such that “I can hardly tell what I am made of, but I do not care so long as I got in safe. I shall be well paid for the Mary Celeste”. The salvage court hearings began in Gibraltar on December 17, 1872, under Sir James Cochrane, the chief justice of Gibraltar. The hearing was conducted by Frederick Solly Flood, Attorney General of Gibraltar who was also Advocate-General and Proctor for the Queen in Her Office of Admiralty. Flood was described by one historian of the Mary Celeste affair as a man “whose arrogance and pomposity were inversely proportional to his IQ”, and as “the sort of man who, once he had made up his mind about something, couldn’t be shifted”. 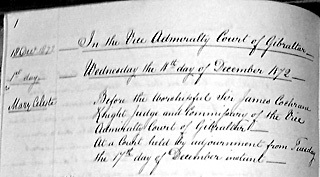 The testimonies of Deveau and Wright convinced Flood unalterably that a crime had been committed, a belief picked up by the New York Shipping and Commercial List on December 21: “The inference is that there has been foul play somewhere, and that alcohol is at the bottom of it”. On December 23, Flood ordered an examination of Mary Celeste, which was carried out by John Austin, Surveyor of Shipping, with the assistance of a diver, Ricardo Portunato. Austin noted cuts on each side of the bow, caused, he thought, by a sharp instrument, and found possible traces of blood on the captain’s sword. His report emphasized that the ship did not appear to have been struck by heavy weather, citing a phial of sewing machine oil found upright in its place; Austin did not acknowledge that the phial might have been replaced since the abandonment, nor did the court raise this point. Portunato’s report on the hull concluded that the ship had not been involved in a collision or run aground. A further inspection by a group of Royal Naval captains endorsed Austin’s opinion that the cuts on the bow had been caused deliberately. They also discovered stains on one of the ship’s rails that might have been blood, together with a deep mark possibly caused by an axe. These findings strengthened Flood’s suspicions that human wrongdoing rather than natural disaster lay behind the mystery. On January 22, 1873, he sent the reports to the Board of Trade in London, adding his own conclusion that the crew had got at the alcohol (he ignored that it was poisonous) and murdered the Briggs family and the ship’s officers in a drunken frenzy. They had cut the bows to simulate a collision, then fled in the yawl to suffer an unknown fate. Flood thought that Morehouse and his men were hiding something, specifically that Mary Celeste had been abandoned in a more easterly location, and that the log had been doctored. He could not accept that Mary Celeste could have traveled so far while unmanned (although this is now confirmed to be perfectly credible based on analysis of historic meteorological data). 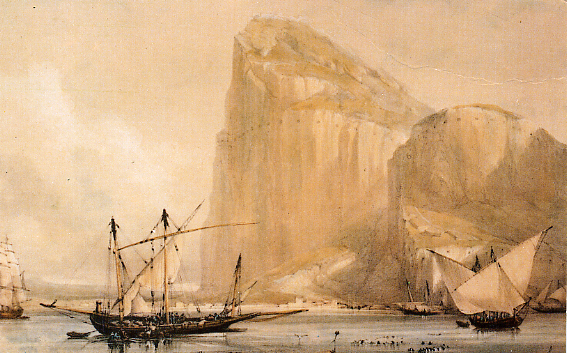 James Winchester arrived in Gibraltar on January 15, to inquire when Mary Celeste might be released to deliver its cargo. Flood demanded a surety of $15,000, money which Winchester did not have. He became aware that Flood thought he might have deliberately engaged a crew that would kill Briggs and his officers, as part of some conspiracy. On January 29, during a series of sharp exchanges with Flood, Winchester testified to Briggs’s high character, and insisted that he would not have abandoned the ship except in extremity. Flood’s theories of mutiny and murder received a significant setbacks when scientific analysis of the stains found on the sword and elsewhere on the ship showed that they were not blood. A second blow to Flood followed in a report commissioned by Howard Sprague, the U.S. consul in Gibraltar, from Captain Shufeldt of the US Navy. In Shufeldt’s view the marks on the bow were not man-made, but came from the natural actions of the sea on the ship’s timbers. With nothing concrete to support his suspicions, Flood reluctantly released Mary Celeste from the court’s jurisdiction on February 25. Two weeks later, with a locally raised crew headed by Captain George Blatchford from Massachusetts, she left Gibraltar for Genoa. The question of the salvage payment was decided on April 8, when Cochrane announced the award: £1,700, or about one-fifth of the total value of ship and cargo. This was far lower than the general expectation—one authority thought that the award should have been twice or even three times that amount, given the level of hazard in bringing the derelict into port. Cochrane’s final words were harshly critical of Morehouse for his decision, earlier in the hearing, to send Dei Gratia under Deveau to deliver its cargo of petroleum—although Morehouse had remained in Gibraltar at the disposal of the court. Cochrane’s tone carried an implication of wrongdoing which, says Hicks, ensured that Morehouse and his crew “would be under suspicion in the court of public opinion forever”. Although the evidence in Gibraltar failed to support Flood’s theories of murder and conspiracy, the suspicion of foul play lingered. Insurance fraud on the part of Winchester was briefly suspected, on the grounds of newspaper reports that Mary Celeste had been heavily over-insured. Winchester was able to refute these allegations, and no inquiry was instituted by the insurance companies who held the policies. In 1931 an article in the Quarterly Review suggested that Morehouse could have lain in wait for Mary Celeste, then lured Briggs and his crew aboard Dei Gratia and killed them there. Paul Begg, in his account of the mystery, comments that this theory ignores undisputed facts: Dei Gratia left New York eight days after Mary Celeste, was a slower ship, and would not have caught Mary Celeste before the latter reached Gibraltar. Another theory posits that Briggs and Morehouse were partners in a conspiracy to share the salvage proceedings. The unsubstantiated friendship between the two captains has been cited by commentators as making such a plan a plausible explanation. Hicks comments that “if Morehouse and Briggs had been planning such a scam, they would not have devised such an attention-drawing mystery”, and also asks why, if Briggs was intending to disappear permanently, he left his son Arthur behind. Other theories of foul play have suggested an attack by Riffian pirates, who were active off the coast of Morocco in the 1870s. Charles Edey Fay, in his 1942 account, observes that pirates would have looted the ship, yet the personal possessions of captain and crew, some of significant value, were left undisturbed. In 1925 the historian John Gilbert Lockhart surmised that Briggs, in a fit of a religious mania, had slaughtered all on board and then killed himself. In a later edition of his book Lockhart, who had by then spoken to Briggs’s descendants, apologized and withdrew this theory. Commentators generally agree that, to precipitate such a course of action as abandonment of an apparently sound and seaworthy ship, with ample provisions, some extraordinary and alarming circumstance must have arisen. In his evidence to the enquiry, Deveau ventured an explanation based on the sounding rod found on the derelict’s deck. He suggested that Briggs abandoned ship after a sounding which, due to a malfunction of the pumps or other mishap, had given a false impression that the vessel was taking on water rapidly. A severe waterspout strike before the abandonment could explain the amount of water in the ship, and the ragged state of her rigging and sails. Furthermore, the low barometric pressure generated by the spout could have driven water from the bilges up into the pumps, leading the crew to assume the ship had taken on more water than she had, and was in danger of sinking. Other proffered explanations are the appearance of a displaced iceberg; the fear of running aground while becalmed, and a sudden “seaquake”. Hydrographical evidence suggests the improbability of an iceberg drifting so far south, and had it done so it would have been spotted by other ships. 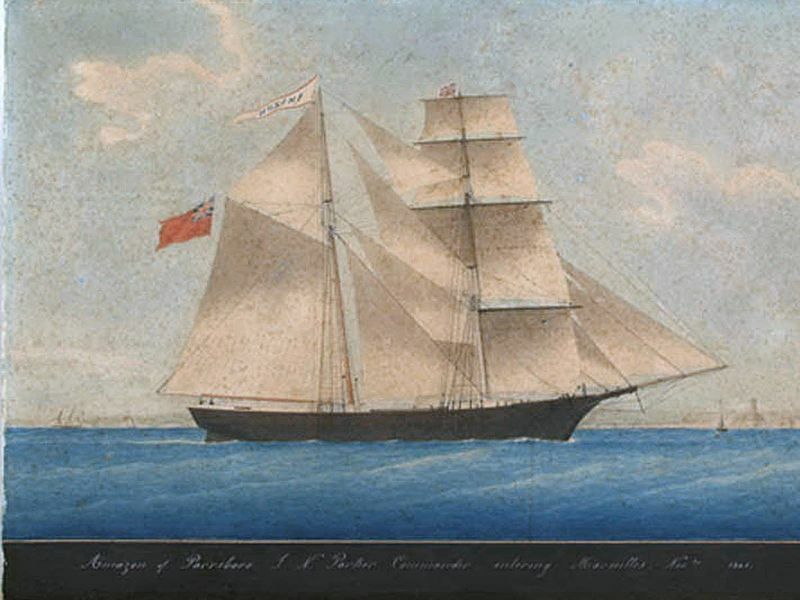 Begg gives more consideration to the theory that Mary Celeste, while becalmed, began drifting towards the Dollabarat reef off Santa Maria Island. Fearing she would run aground, Briggs launched the yawl in the hopes of reaching land. The wind then picked up and blew Mary Celeste away from the reef, but in the rising seas the yawl was swamped, and sank. The weakness of this theory is that if the ship had been becalmed, all sails would have been set to catch any available breeze, yet the ship was found with many of its sails furled. As to the seaquake theory, this disturbance–an earthquake on the sea bed–could, it is surmised, have caused sufficient turbulence on the surface to damage parts of the cargo, thus releasing noxious fumes. The displaced hatches might indicate that an inspection, or an attempted airing, took place. Rising fears of an imminent explosion could plausibly have led Briggs to order the abandonment. The New York World of January 24, 1886, drew attention to a case where a vessel carrying alcohol had exploded. The same journal’s issue of February 9, 1913, cited a seepage of alcohol through a few porous barrels as the source of gases that may have caused or threatened an explosion in the hold. Briggs’s cousin Oliver Cobb was a strong proponent of this theory as providing a sufficiently alarming scenario—rumblings from the hold, the smell of escaping fumes and possibly an actual explosion—for Briggs to have ordered the evacuation of the ship. The lack of damage from an explosion and the generally sound state of the cargo upon discovery, tend to weaken this case. In 2006 an experiment was carried out for Channel Five television by Andrea Sella of University College, London, the results of which helped to revive the “explosion” theory. Sella built a model of the hold, with paper cartons representing the barrels. Using butane gas, he created an explosion, which caused a considerable blast and ball of flame, but contrary to expectation, no fire damage within the replica hold. “What we created was a pressure-wave type of explosion. There was a spectacular wave of flame but, behind it, was relatively cool air. No soot was left behind and there was no burning or scorching”. The modern writer Macdonald Hastings asks whether Briggs, an experienced captain, would have effected a panicky abandonment of the ship when, “if the Mary Celeste had blown her timbers, she would still have been a better bet for survival than the ship’s boat”. If this is what happened, Briggs “behaved like a fool; worse, a frightened one”. 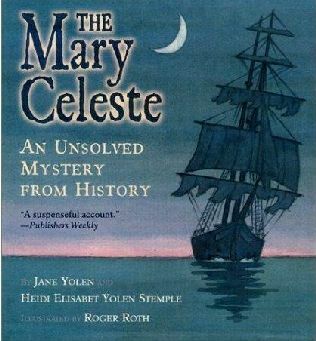 I first heard about the mystery of the Mary Celeste when I read the story in 7th grade as a class exercise. Once in a while the subject has popped up over the years, usually when a friend tells me that the mystery has been “solved.” It has not. The “solutions” tend to offer “facts” that were previously unknown – but which turn out to be fiction or fantasy. The facts are that the ship was abandoned within sight of land and then drifted with the tides until it was found. The lifeboat, crew, and navigational materials were missing, but everything else was intact aboard. The captain was sane and rational, and the crew were all reliable. Thus, the ship was abandoned because the captain had excellent reason to believe that they were in imminent danger. What the danger was is unknowable at this point. It seems plausible that the lifeboat met a tragic accident soon after the crew abandoned ship. What this accident was is also unknowable. History tells us that experienced captains, such as William Bligh, have been known to navigate small boats for weeks out of sight of land, and yet they reached shore safely. What we have, I am afraid, is an unsolvable mystery. Too much pertinent information is missing. Mary Celeste’s intended destination was Genoa so why not imagine that if they had arrived safely, some of the crew would have dined on the Genoese specialty pasta with pesto? Pesto traditionally consists of crushed garlic, basil, and European pine nuts blended with olive oil, Parmigiano-Reggiano (Parmesan cheese), and Fiore Sardo (cheese made from sheep’s milk). “Pesto” simply means “pounded” – from the same root as “pestle” – because traditionally it is made in a mortar and pestle. This may require time and elbow grease, but, to my mind, is still the best method. Pesto is commonly used on pasta, traditionally with Mandilli de Sæa (Genovese dialect – literally “silk handkerchiefs”), trofie or trenette. Potatoes and string beans are also traditionally added to the dish, boiled in the same pot in which the pasta has been cooked. It is sometimes used in minestrone. 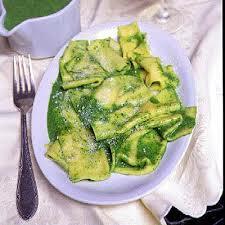 Pesto is also sometimes served with sliced beef tomatoes and sliced boiled potatoes.